The Extraordinary African Chambers (EAC) was established as a hybrid criminal court via an agreement between the African Union and Senegal to investigate and try former Chadian dictator Hissène Habré for serious violations of human rights and humanitarian law which constitute international crimes. In 2016 (confirmed in 2017), the EAC convicted Habré and ordered reparations awards for victims of the said mass atrocities, which have yet to be implemented. This seminar examines diverse aspects of the reparations system of the EAC, highlighting potential contributions to the field of reparations for victims of mass atrocities and important implementation challenges. The analysis is conducted in light of comparative sources such as the case-law of the International Criminal Court, jurisprudence of regional human rights courts, and the law of the prospective African Court of Justice and Human and Peoples’ Rights. 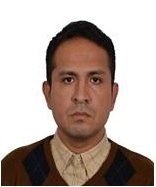 Dr. Juan Pablo Perez-Leon-Acevedo is a Post-Doctoral Fellow, PluriCourts, Faculty of Law, University of Oslo where he also lectures in international law courses. He has served in different capacities in a wide array of institutions including: the International Criminal Court, International Criminal Tribunal for the former Yugoslavia, Åbo Akademi University (Finland), University of Pretoria (South Africa), human rights NGOs, and Peruvian ministries.